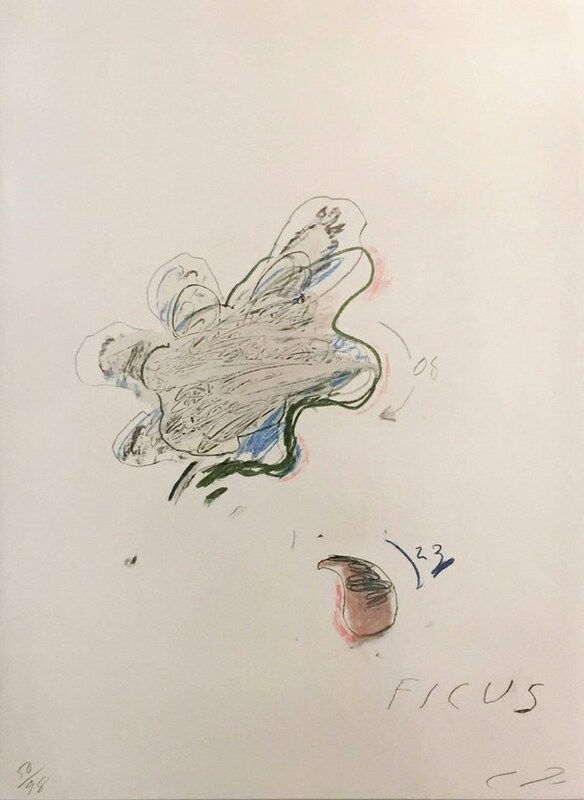 Cy Twombly Is one of the most important contemporary artists and is best known for blurring the line between drawing and painting. He was born in Lexington, Virginia on 25 April 1928. In 1947 he began studying at the School of the Museum of Fine Arts in Boston and in 1950 Twombly went to New York, where he continued his studies at the Art Students League. Here he met Robert Rauschenberg. One year later he changed to the Black Mountain College where he met John Cage and studied under Robert Motherwell and Franz Kline. Together with Rauschenberg he travelled to South America, Northern Africa, Spain and Italy in 1952. In 1960, he settled in Rome. The very same year he had his first one-man show at Leo Castelli’s gallery. 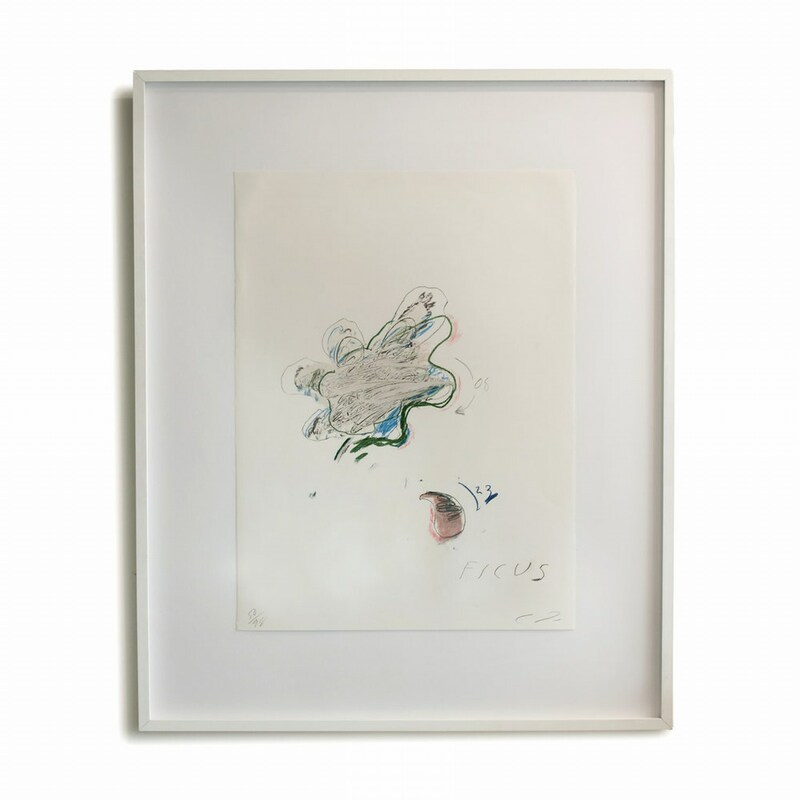 During the 1960s Twombly’s ‘Schultafel-Bilder’ came into existence, in which the act of writing was turned into a physical gesture. In the middle of the 1970s his works became more complex. Twombly created expressive structures with collaged sheets and various painting instruments. Beside his painting œuvre white, sculptural works of finds and simple materials came into existence since 1955. In 1973 the first retrospective of his work took place in Bern, later followed by important exhibitions at the Withney Museum (New York), the Kunsthalle (Zürich), the Musée National d’Art Moderne (Paris), and the Museum of Modern Art (New York). His artistic merit was honored by numerous exhibitions. The Cy Twombly Gallery of the Menil Collection is opened in Houston in 1995. 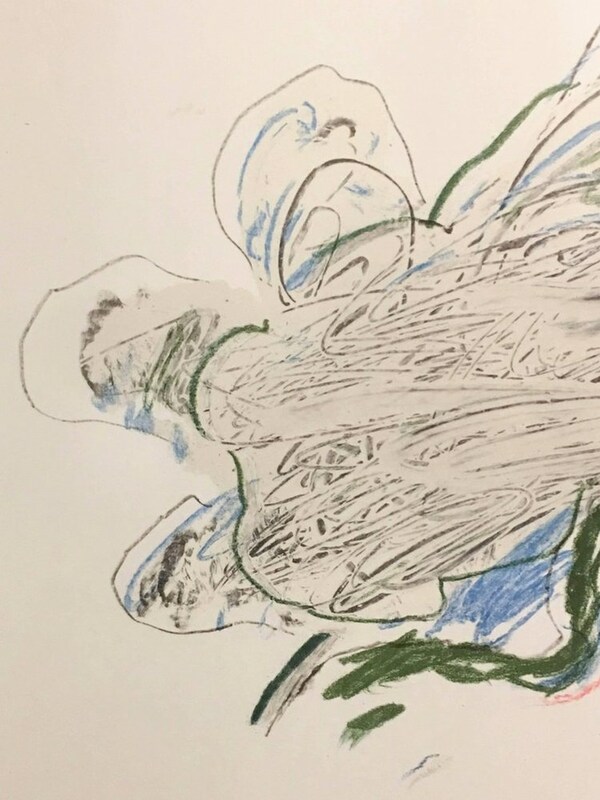 In 2007, an exhibition of Twombly’s paintings “Blooming, a scattering of Blossoms and other Things”, and other works on paper from gallerist Yvon Lambert’s collection was on display in Avignon (France) at the Lambert Foundation (Hôtel de Caumont) .